AlphaDog Lodging’s mission is to make life easier for our dog-loving community by providing safe and healthy products and services while we love and care for your dog. We are committed to offering an environment in which you and your pet can be free of stress. In early 2008, Martha Pearl was looking for a way to combine her love of dogs with a way to be an integral part of the community. She opened AlphaDog Lodging which is a daycare and boarding facility with outdoor play. AlphaDog Lodging turned out to be a terrific way to make available a safe, fun, green, open environment for local dogs, while their parents were working or away. 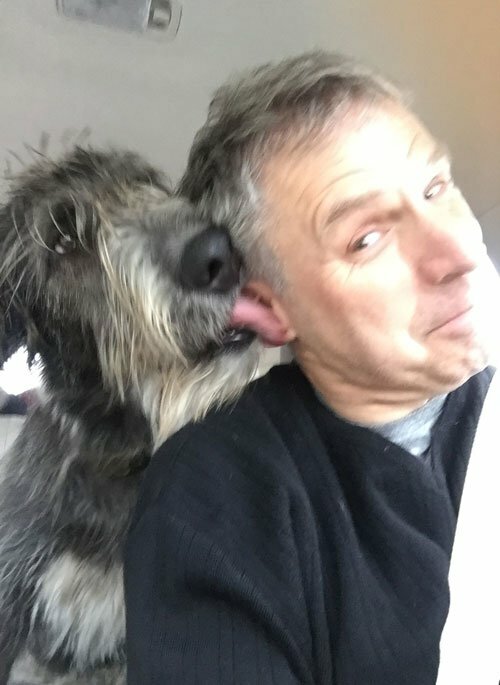 Martha and her husband Julien, her daughter Zoe, and her Irish Wolfhound, Ewan, have lived in Mill Valley for the past 23 years (okay, Ewan is only 4 years old, but is the third Irish Wolfhound in the Pearl household). Martha grew up in Marin and moved back after college, well, because it’s Marin for goodness sake! In addition to her passion for dogs, she has always had an incredible focus on making the earth a better place for her daughter’s generation. Recycling, limited plastic use and making things as green as possible is part of her life’s passion.